Where better, I ask myself, to spend a scorching July evening than an industrial estate in North London? 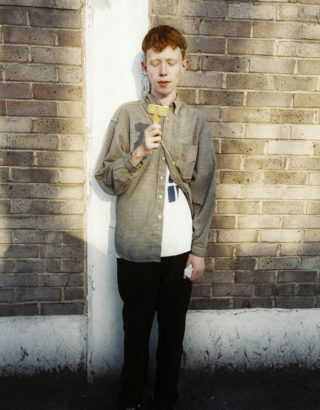 I’m there to meet Archy Marshall, who has been rehearsing with Mount Kimbie ahead of their live shows together this summer and so I’m directed to meet him near the practice space. Apparently his friend lives in one of the warehouses, which is hard to countenance when I arrive at the sea of concrete rectangles. 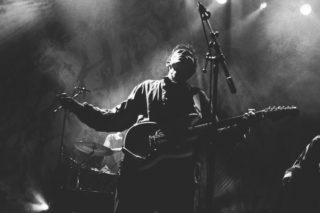 The backdrop, however, seems perfect for us to shoot an artist whose music is founded on raw, jagged aggression and doggedly rough textures. The Loud And Quiet photoshoot is underway and as I get closer I see Marshall being directed to climb on to a discarded stack of wooden palettes. It’s a comical scene, his pale, deep-set face remaining expressionless throughout. 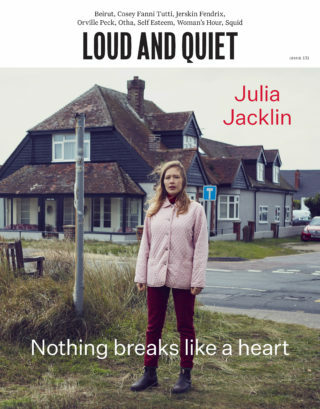 The absurdity isn’t lost on the 18-year-old Dulwich songwriter, but while he’s quite clearly bored, he remains stoically compliant and doesn’t complain, instead choosing to entertain himself by contorting his limbs as he stares unflinching down the lens. 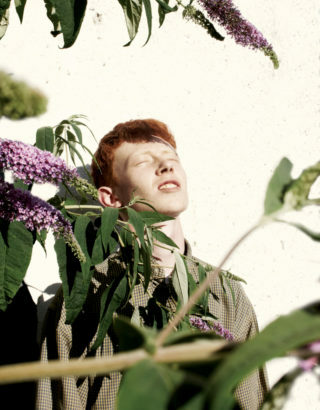 Ennui aside, Archy Marshall is perfect for the camera. 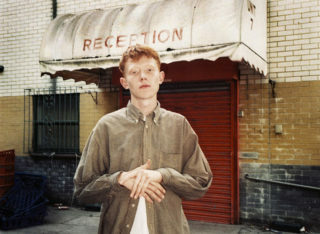 Under a shock of tousled bright red hair, his gangly upper limbs are covered by a long, button-down shirt that’s become his trademark, but although he cuts a striking figure, he winces in embarrassment when a member of his management company turns up to show him a sneak preview of his new video and a series of promotional close-ups. 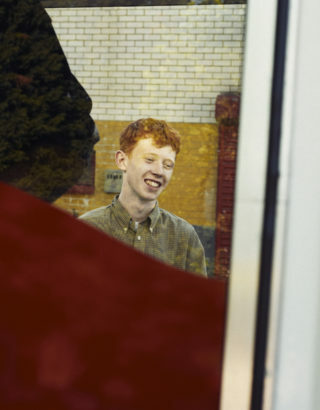 “Awww… no…” His unease drives home just how young Archy Marshall is. Over the next 45 minutes I watch him and his mate as they wander around the area’s dreary environs. When an ice-cream van arrives it seems to make a bizarre sort of sense, the Doppler effect of its passing chimes giving the scene an eerie, offbeat feel. 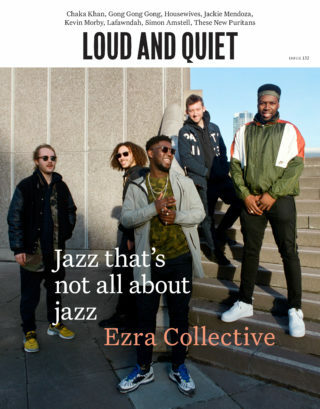 I imagine that last month’s L&Q cover star, David Lynch, would be proud. A peeling sticker on the back of the van reads Mind The Children, but the gelatiere is greeted only by an orderly line of fully grown workers from surrounding factories that had until now seemed completely derelict. 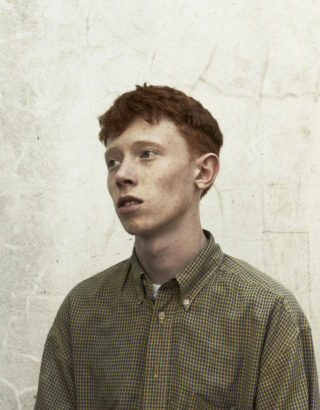 Photo call rounded up, I ask Archy if he’s excited about our interview. He laughs. “I’ve done about 35 recently.” I take it as a no. Luckily he gets a reprieve when his partner finds that he’s locked out of the warehouse that he seems to share with an impossible amount of others. A few stones are thrown at the window, and we get a few odd looks but neither seem too flustered and it’s another reminder of our gap in age as my mind wanders to the logistics of tube routes and what time I might get home. Marshall has clearly done his due diligence, barely pausing for breath as he lists off the legends of that brief period. Though the Beeb passed him over, admiration has come from likely and not so likely sources, yet Marshall’s been taking the attention in his stride as his star moves firmly into the ascendancy. 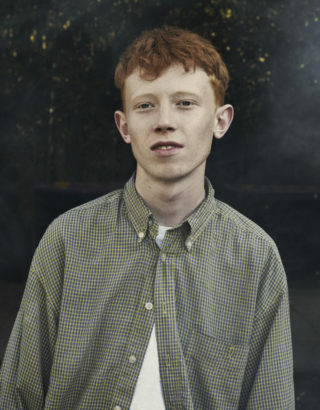 He’s been quoted as saying that he fully understood why Beyoncé posted the video for new King Krule single ‘Easy, Easy’ on her Facebook page; his music is, after all, “good,” though a collaboration, he jokes, might be a while off. 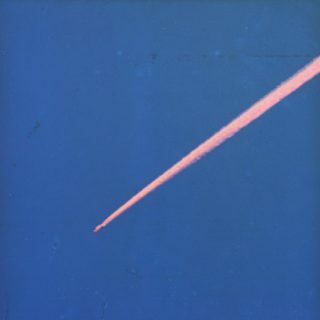 And so, we move on to King Krule’s own album. Despite his age, ‘6 Feet Beneath The Moon’ is the result of at least five years work and the first single to be lifted from the album, ‘Easy Easy’, is a song that he wrote at the age of just 12. 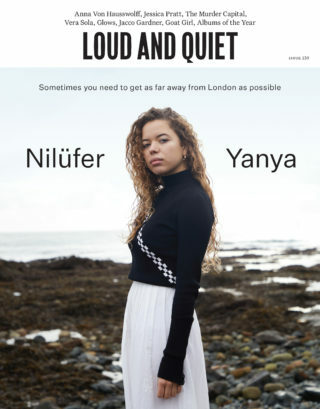 For all its melodic directness, look beneath the surface and it has remarkable lyrical depth. 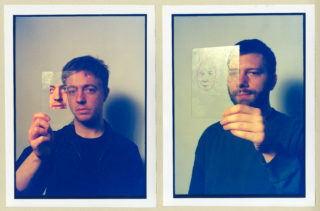 The minutiae of detail – an out of date sandwich and a Tesco receipt – sketch a baldly vivid scene in the tradition of Morrissey or Mark E Smith’s kitchen sink imagism. He speaks with gusto as he describes his technique.